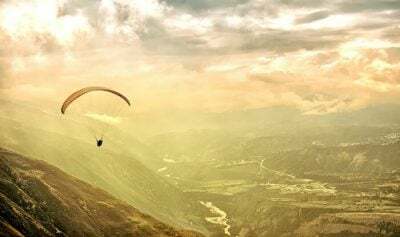 Our world is full of wonders and sometimes you don’t even need to go to exotic places to find them. Have you seen the largest pumpkin on Earth? 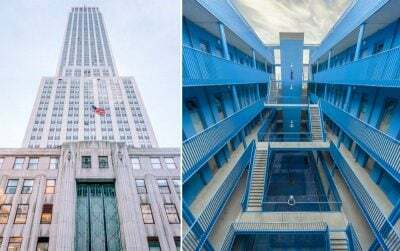 If that’s not amazing, then we don’t know what is! Farmers all over the globe experiment with fruits and vegetables to grow the most outstanding cucumbers, potatoes, watermelons and carrots the world has never seen. And sometimes they grow by themselves completely unexpected! 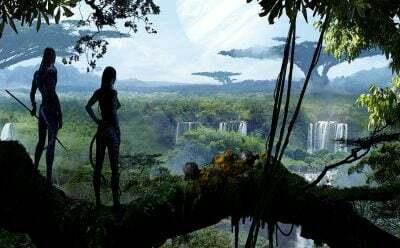 We can only marvel at those amazing foods and wait for whatever comes next. 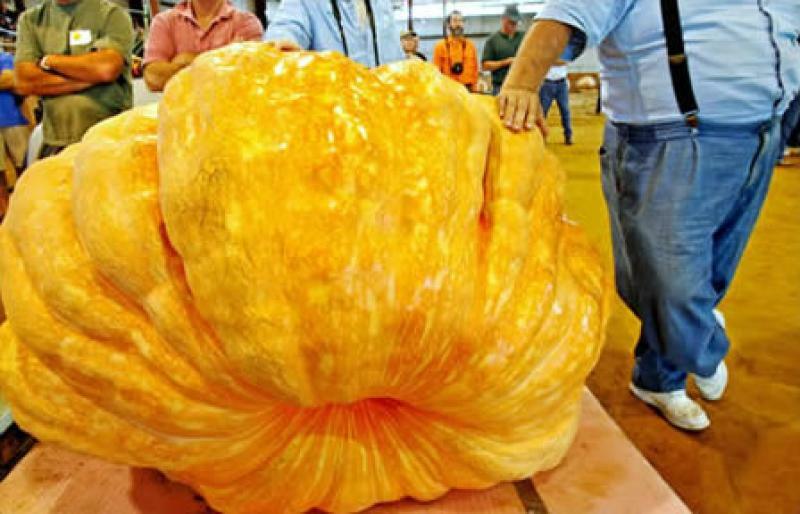 Here are 10 of the largest vegetables and fruits in the world. Khalil Semhat, a Lebanese farmer, lives in the South of the country in a small city of Tyre. 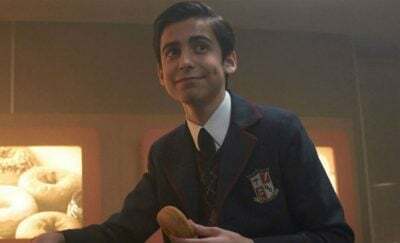 He was shocked more than everyone else when he realized that he had grown the biggest potato in the world that weighed 24.9 lbs. This huge potato set a new world record! People at the National Amateur Gardening Show in Somerset couldn’t believe their eyes when two men carried in a vegetable that weighed 65 kg. This huge marrow was grown by Ken Dade from Norfolk. 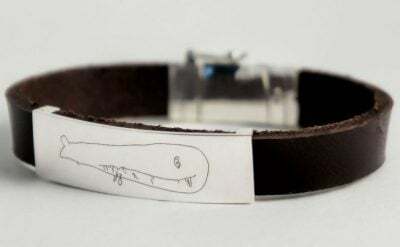 It set a new Guinness World Record being heavier than its predecessor by 3 kg. This pretty old world record from 2003 remains unbeaten until today. 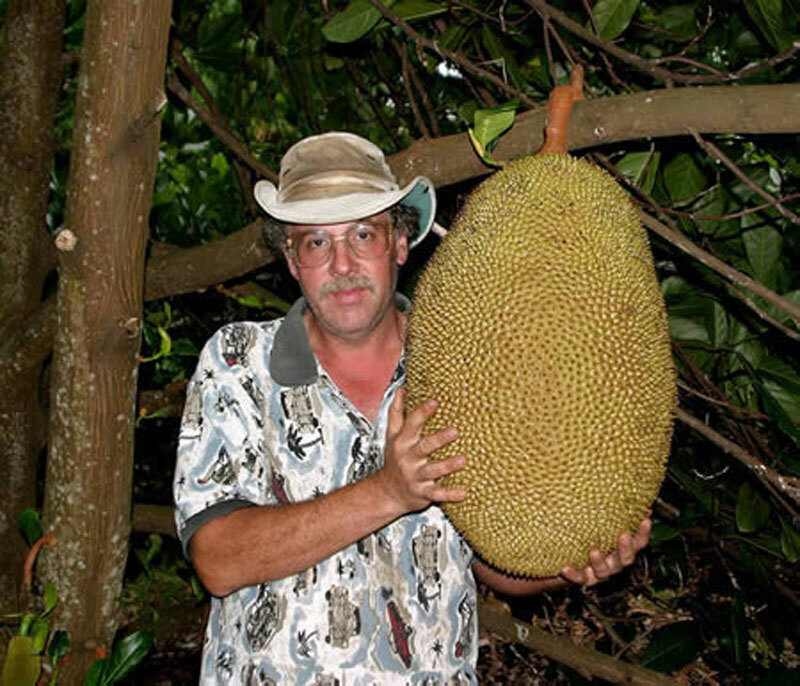 George and Margaret Schattauer from Hawaii miraculously grew this huge sweet fruit. Although it’s native to India, this jackfruit grew to be as heavy as 34.6 kg! John Evans from Alaska is a real magician when it comes to growing big vegetables. 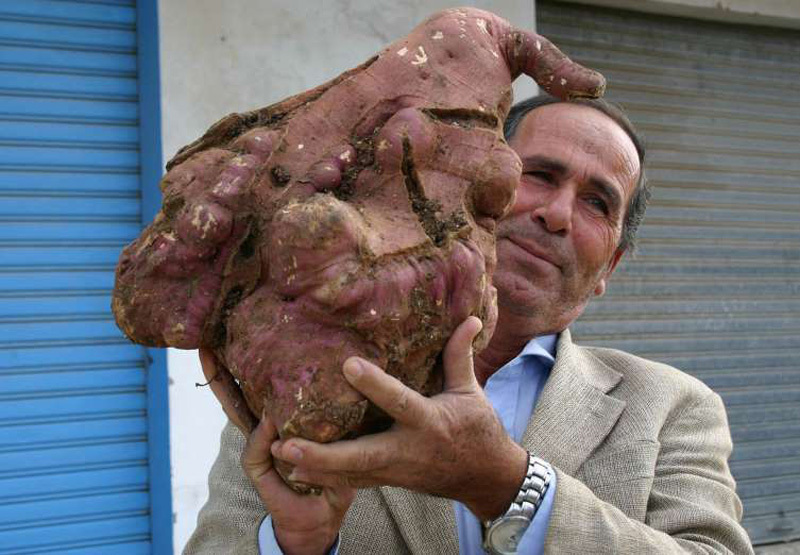 He alone holds 7 world records for giant veggies! 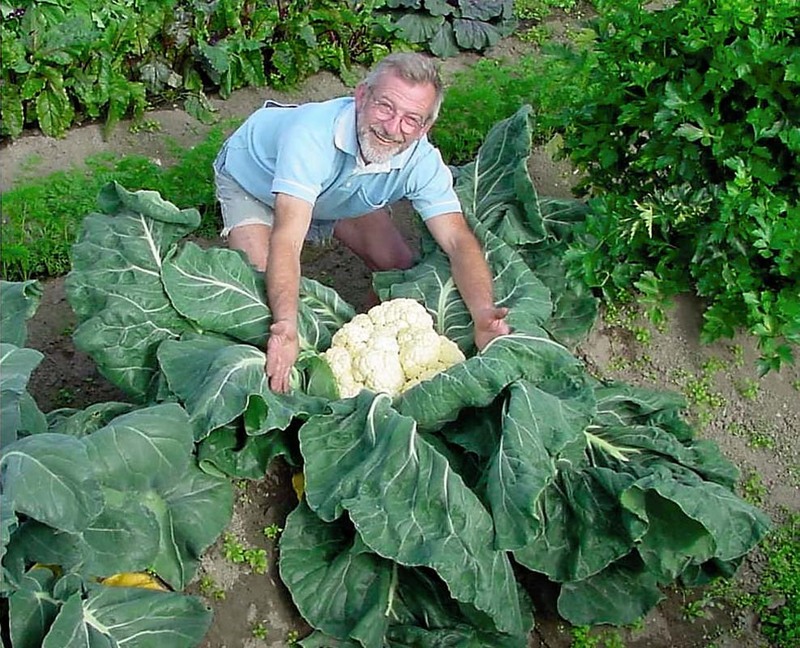 He grew this green cabbage back in 1998, making it a new world record. This man is truly unbelievable! 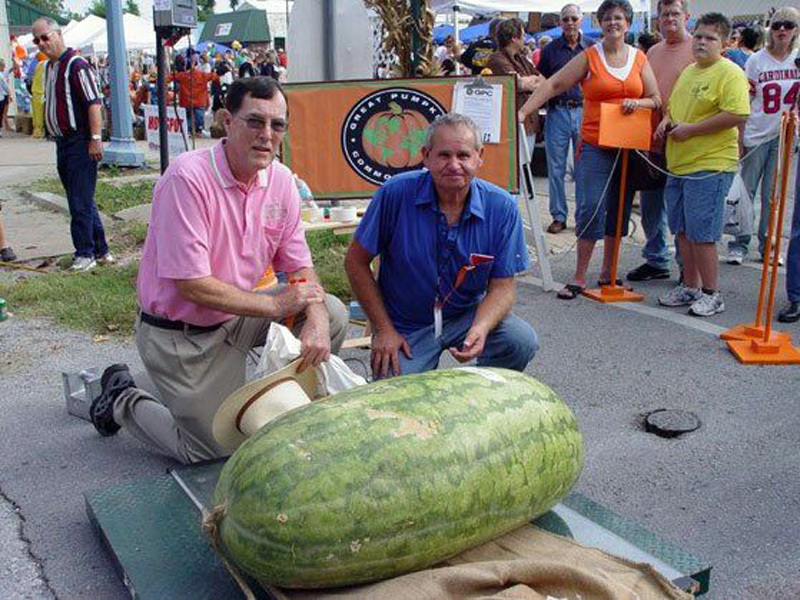 Lloyd Bright is the lucky guy who managed to grow this scrumptious huge watermelon. 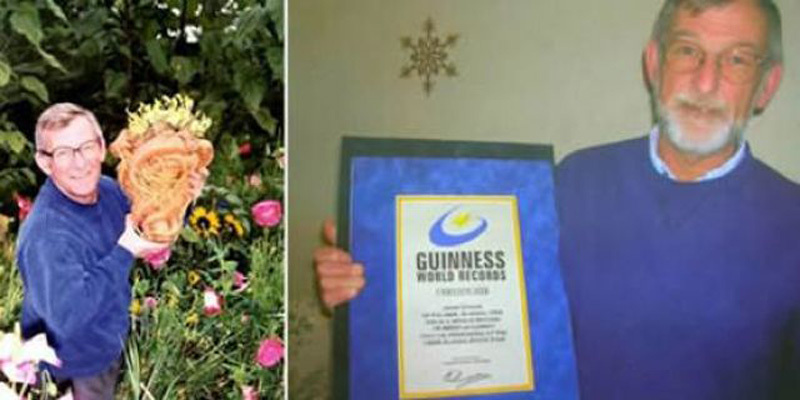 Although this doesn’t come as much of a surprise as Lloyd’s family has had a long history with watermelons – they have been setting world records since 1979! Yet this one is the biggest so far weighing 122 kg. Yet another achievement of John Evans that he presented in 1998. The heaviest carrot in the world weighed 8.985 pounds (or 8.61 kg). Visitors of the Topsfield Fair were truly taken aback when they saw this giant of a pumpkin. 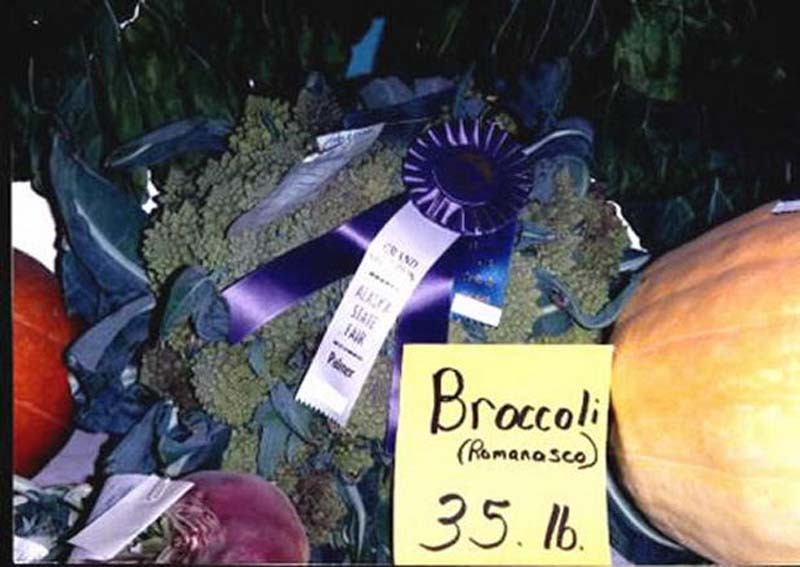 It was grown in Rhode Island and taken to the Massachusetts fair in 2007. 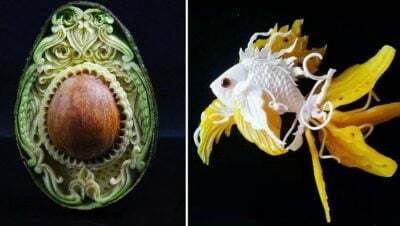 This pumpkin looks like something out of a fairy tale! 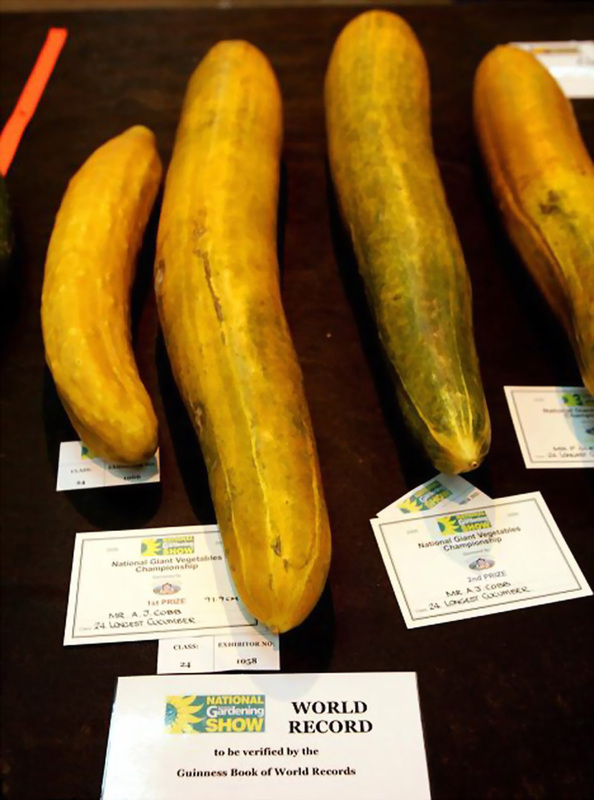 Alf Cobb is the man who has beaten his own record and grew an even bigger cucumber. His last record was 31.2 in, but the new cucumber surpassed even that number. This time Alf Cobb grew a cucumber that’s 36.1 I log! Can you imagine a cauliflower that weighs more than 15 kg? Well, that’s exactly the type of cauliflower that Evans proudly presented to the public in 1997. It’s become the biggest cauliflower in Alaska, as well as in the whole world! 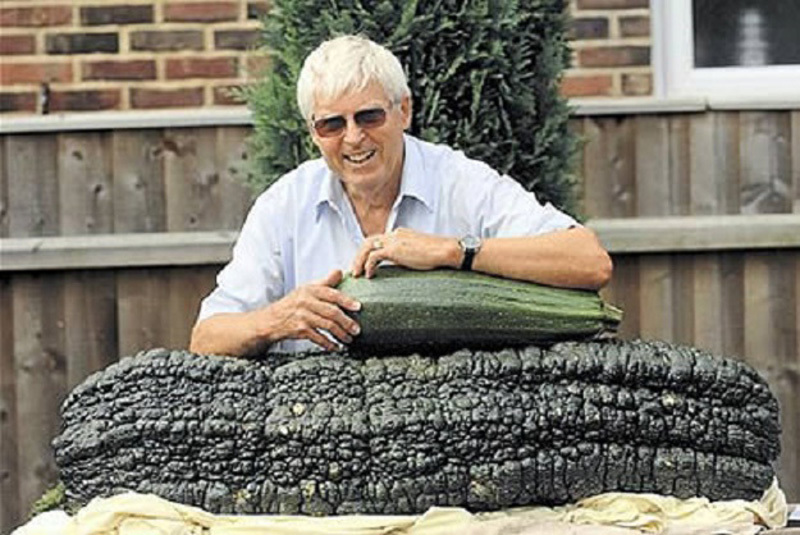 1993 was the year when John Evans got his first ever world record for growing a super big vegetable. It was a broccoli that weighed almost 16 kg!